Hello! So, a quick intro - I'm Esta (EJ) and I live in Stoke on Trent. Ive always loved 90s Jap cars and a few years ago I purchased a Mitsi FTO GPX for my daily driver. Unfortunately my commute went from 80 to 180 miles a day so my FTO had to go and a sensible diseasal was purchased. 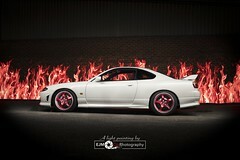 I had 3 cars in mind, R33 GTR V-Spec, Supra RZ and of course the S15. 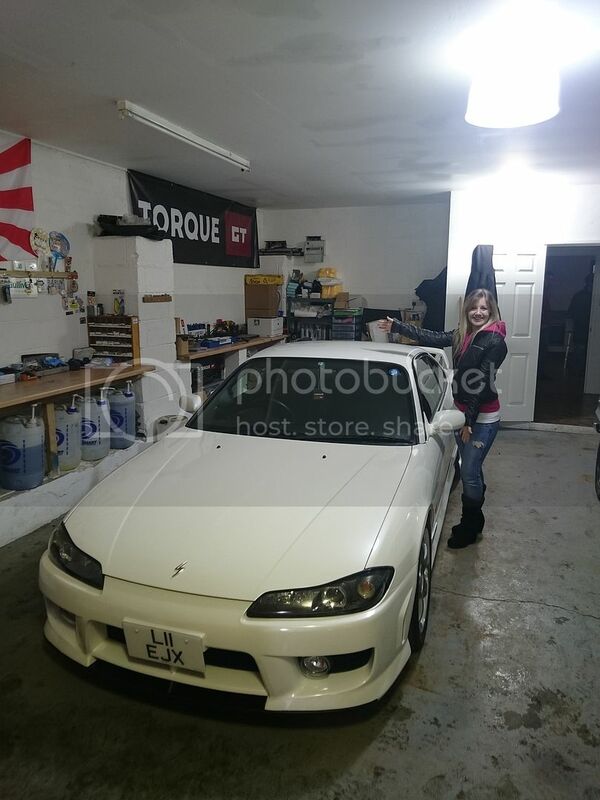 TBH the interiors of the Skyline and the Supra do NOTHING for me, whereas the Silvia ticked every box, I personally think they are beautiful and I love the interiors! So, thats when I got in touch with Torque GT, and I asked them to find me a suitable specced car in Japan (always wanted to find my own fresh import!) So long as it was a high grade and in red, white or yellow with fairly low miles I would be happy - I missed out initially on a red one, but then I was quickly found a stunning white one, which in all fairness was probably the better thing for me cus 99% of my cars have been red haha! Anyway here she is as I picked her up finally from Torque GT yesterday morning! In the 4 months to sort I'd managed not to tell any of my friends so it was a "ta-da" photo for Facebook so excuse the silly pose lol! Here's a pic of her visiting my brother in Somerset on the way home from Torque GT, he has the Cappuccino, and the husbands M3 that took me to fetch her She's parked on the flattest part I could safely leave her haha! Currently I have a list as long as my arm of things I will be doing to this car, I love putting my own mark on my cars; but as a second car, and one I intend to keep till I die, it will all be done over a long period of time - Ill keep this post updated! Last edited by Lil SpecR; 13-07-2018 at 22:45. Looks great, big fan of the wheels and I have the ssqv as well, sounds great. Congratulations! 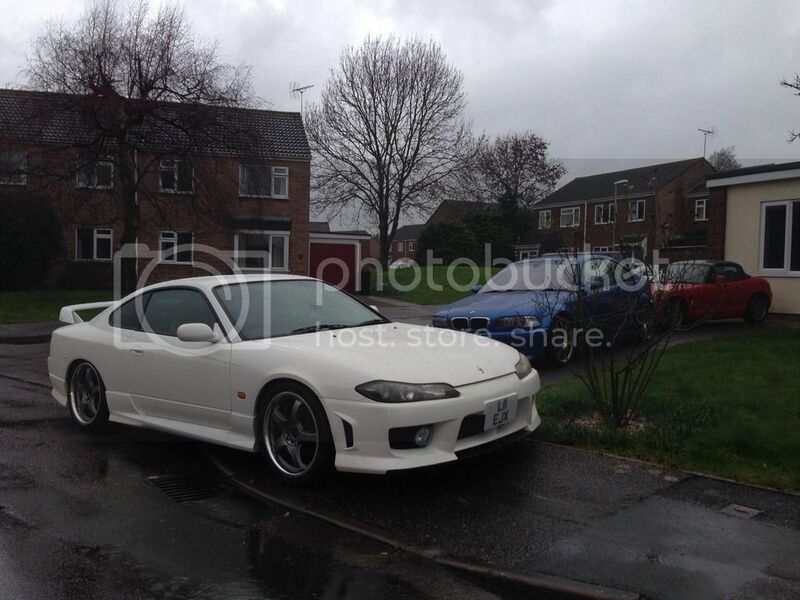 Lovely looking car straight out the JDM box!! First thing to do is get some rust protection into the sills and get some dinitrol 4941 wax underneath it. That will keep it minty fresh for decades! looks amazing that does! bet your mega happy! Ahhh already done! Torque do a basic Dinitrol treatment as part of the price, and Ive paid the extra £200 to have the full pre-D treatment and additional rust protection! Thank you! Honestly I am over the moon, the neighbours have been to have a nose as well, except they all think she's my husbands lol! Also just been out and washed and polished her, discovered a load of BC paperwork and the spanners in the boot, then in the glovebox found the locking wheel nut key, CD remote and a shed load of other paperwork too, including the original handbook, some Japanese papers and info on the Apex exhaust! So I know what exhaust she has now! Going to nose thro the paperwork in more detail tonight but now Im just having a quick brew to warm myself up and then I am off to get photos!! Very nice, got to love a clean white aero. looking good! nice clean car!